Covered some of these tips and tidbits of information in earlier blogs. I love trying new threads and comparing them. Each one is so different, and brands are unique in their offerings. What fun to try new things! Just some short bits of information. You can find a fuller pdf free download at Choosing the Correct Thread, right near the top. Hope you enjoy but most of all, PLEASE let me know what thread you like and why! I certainly don't have all the brands, nor types in the pdf file but a nice start. Share here! Choose thread that is compatible with your fabric. Always choose a good, high-quality thread that won’t split easily. 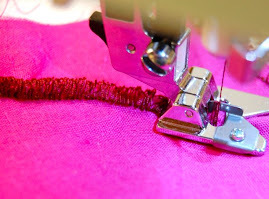 Using a low quality thread creates excessive lint build-up, and has frayed edges and roughness in the thread. Hold your thread up to a good light. Does it look nice and smooth, or frayed and rough? Next, select the proper needle to match the fabric. Choose the needle type (i.e. jeans, microtex) and the needle size to match the thread. Is it hard to thread your needle? Then needle size may be too small for the thread. Always start with a new needle! Numbers on thread spools need not be confusing. The first number (i.e. 40/3, 100/3) is the size of the thread. The second number is the number of plys of the thread when twisted together. The more plys, the stronger the thread. 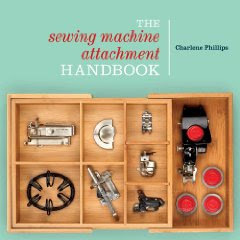 A general rule is 2 ply for decorative stitching and 3 ply for machine stitching. 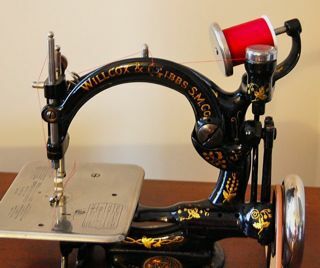 Remember, thread quality and strength has evolved so much over the years you may want to try many types! The higher the number, the finer the thread. The medium size is 40 - 50 wt. Thread sizes range up to 100. When selecting silk thread, 100 weight is the best. It is the smallest size offered and can match any fabric. Also available in 30 wt, and 50 wt. When letters indicate size, A is fine and D is heavy. What color of thread to use? Select one shade darker than the fabric. If the fabric is multi-color or plaid, choose the most dominant color. Thread does deteriorate over time. Store with care away from extreme moisture or dryness. Store in a covered container to keep free from dust. Strong and has a bit of stretch. Smooth and free of ‘fuzzies”. Blends into seams, almost invisibly and keeps a free-flowing seam. Silk thread is perfect for basting since it doesn’t leave an impression on the fabric. Silk takes on the color of the fabric, so a huge color assortment is not necessary. 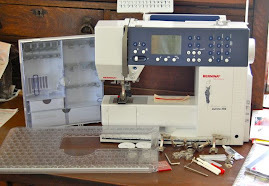 Perfect for sewing all fabrics, but excellent at sewing silks and woolens. Does the best job for sewing rolled hems with a tighter edge. Combines the strength of polyester core with cotton wrap, smooth seams with a natural give and works well on cotton knits. 100% polyester provides strength and flexibility for sewing on knits, stretch fabrics due to its stretch and non-shrinkage. 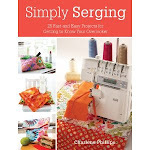 Also use to sew on any natural fabrics, those with blended fibers, and synthetic. A 2 ply, hi-sheen, non-divisible twisted thread (why sometimes referred to as one strand) and used in many forms of needlework. Oftentimes used in the bobbin only. Heavy duty is abrasion resistant and does not deteriorate so can be used both indoors and outdoors. Perfect for upholstery and heavy duty home decorating projects. Made of 100% transparent nylon or polyester and comes in clear and smoke. Strong with little stretch. 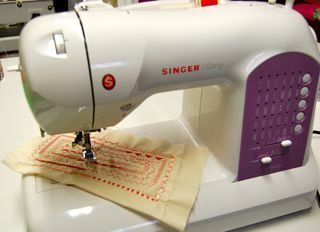 Most popular sizes are .004 and .005Can be used for machine sewing and for overlock stitching. Can be used for applique, crafts, machine quilting, and other home decor projects. 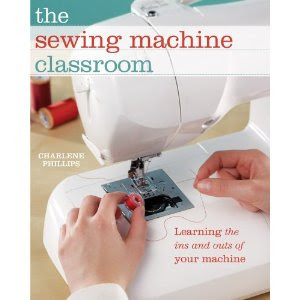 Cover with a net when machine sewing to prevent tangling. Most usually made from cotton wrapped polyester. Cotton giving it the strength and polyester gives the flexibility and stretch. Cotton thread fibers have been mercerized to add strength, ability to take dye, and color fastness. **mercerized is a finishing process to make thread smooth and take dye better, lustrous appearance. First invented by John Mercer in 1851. What is your favorite thread and why? The more types we learn about from each other, the more we can try! Have fun! This is great information! Thanks for the post! Glad you found some value! Just checked out your post and FABULOUS. Everyone must go from here to your blog. i just finished organizing mine and tossing the bad and old. All tucked nicely into containers with drawers. After all, it is the thread that holds it all together!